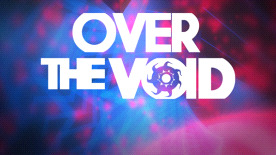 Each level is a unique universe to explore, but they all have a common point: the VOID. To get through each of them, you will have to find a way to open the door which are over the void! Use the tools at your disposal to move in a 3 dimensional environment. The main intention of this game is to make you feel relaxed! Empty you mind, let you wander around, enjoy the view, the colors, the forms and the amazing music. ￼￼ But still, you have to move with dexterity to avoid falling down. It's like having a walk in an abstract street with abstract bridges and caves, wherein you can throw platforms in the air and jump on as if you were dreaming.